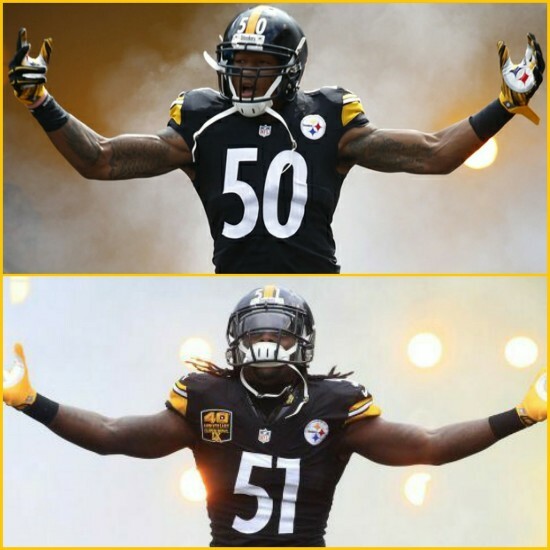 NEXT MAN UP: Shazier Out..Spence In | "IT'S A STEELERS WORLD"! After being reported today by Steelers.com’s, Bob Labriola that standout linebacker Ryan Shazier was ruled out of Sunday’s game versus the St. Louis Rams, I am sure a sense of sadness and perhaps doubt may have entered the minds and hearts of Steelers fans. But as we all know that sadness and doubt did not last for long. Fourth year linebacker Sean Spence will most likely start for Shazier as the Steelers defense looks to build off their impressive performance a week earlier against the 49ers. And I personally see that as a viable stand-in for last Sunday’s dominant defensive star. Spence, who started 9 games last season, made 53 tackles to go with a forced and recovered fumble with one sack. On Sunday, Spence made 2 tackles in Pittsburgh’s 43-19 win over San Francisco. Last season, Spence recorded at least 4 tackles in a game on seven occasions, and in the team’s Wild Card Game against the Ravens, Spence tallied a sack and a forced fumble. Solid numbers for someone with limited playing time, and every time Spence hits the field he tends to produce in some form or fashion. A 3rd down sack or a forced fumble could bode well for the Steelers defense that improved drastically since Week 1 against the New England Patriots. Plus you have the accelerated play of rookie Bud Dupree, who alongside Spence’s veteran presence and style of play (similar but not as explosive as Shazier) should help him produce another well executed game this week as well. Spence didn’t miss a game last season while helping the Steelers win the AFC North title for the first time since 2010. I believe that he will continue to help the Steelers. Look for him to step-in nicely for Shazier and the defense continuing to improve. I’m looking forward to the play of Spence, as well. He’s solid against the run, and we’ll most likely see Williams on passing downs. I’m excited by the play of both, when lined up alongside Timmons.